Short term self catering in Godalming near Guildford. 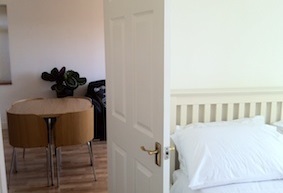 Short term self catering accommodation in Godalming with , WIFI , Sky TV, laundry , cleaning and ironing services. We offer reasonably priced self contained apartments at Pound Corner in a large detached Victorian house situated at the foot of Farncombe Hill 5 minutes walk from a main line station and 15 minutes walk from the centre of Godalming. Guildford is 1 stop by train or you can take the bus from right outside the door! 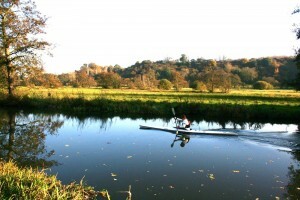 Godalming has a selection of popular restaurants and unique boutiques. The village of Farncombe, less than 5 minutes walk from Pound corner, has a supermarket and other essential shops. 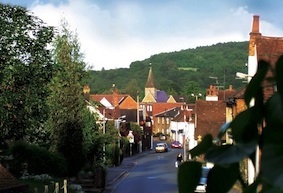 Farncombe is nestled in a fertile valley between Guildford and Godalming with both glorious walks and a main line station within easy reach.